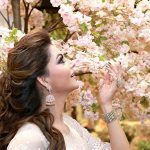 The stunning Bollywood actress Urvashi Rautela was in Dubai recently for an exclusive photoshoot with Filmfare Middle East Magazine held at the 2XL Furniture & Home Décor store on Al Wasl Road in Jumeirah. The setting at 2XL was as glamorous and stylish as the concept of the pictures. Each product featured in the photographs had been carefully selected and reviewed to create the right mood. Urvashi Rautela had made her Bollywood debut with Singh Saab the Great in 2013 and subsequently appeared in several films such as Sanam Re, Great Grand Masti and Hate Story 4. She also has to her credit many top beauty titles and videos.